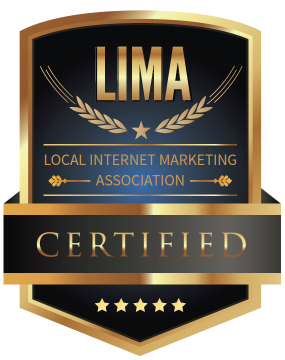 We Make Tucson SEO Marketing Smarter! Search Engine Optimization, also known as SEO, is used to position a website or a webpage at the top of a search engine results page. This is done through specialized techniques using keywords or keyword phrases that match the optimization requirements for that particular website. For better understanding, here is an easier way of explaining what happens. We use search engines when searching for specific items we are interested in learning more about or wish to buy. Here, we are going to use Google.com as an example of search engines even though all search engines, such as Bing and Yahoo, operate in a similar fashion. After performing a search using keywords, Google displays relevant domain pages on the first page with others following behind that. These pages include live links to sites and all we need to do is click that link. For Google’s Search Engine Bots (Google Algorithm) to find these websites, they first had to have been created with a degree of optimized content relevant to the search. Otherwise, the Bots would not have recognized them. The level to which they were optimized determines whether or not they wind up on the first page and in top positions. Ranking with Search Engines is a struggle between websites over which one is optimized better than others. Winning pages are placed higher up on the directory and catch the attention of those searching for specific terms. The highest quality traffic any website can have comes by way of search engine traffic. Greater sales, subscriptions, etc. are one of the most sought after benefits achieved from high quality traffic to webpages. Today, there are just two types of internet Search Engine traffic and these are free and paid traffic. Paid traffic brings visitors to sites through paid advertising strategies. This can be programmatic buying, PPC, print media and Google AdWords. This is an easy method, although it can be expensive depending on the keywords for which you would like to rank. With paid advertising, website owners purchase spots on the first page and pay is either by click or view. Free traffic is also called organic traffic and involves the practice of using certain on and off page techniques to optimize webpages. By far, organic traffic is better than any other because no money is required to use it. Nevertheless, it is more difficult to generate traffic using this method since some business owners view it as a moving target. 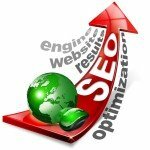 Proper search engine optimization plays a huge role in doing this right. SEO helps create a more attractive site for the search engines to find and for your visitors.